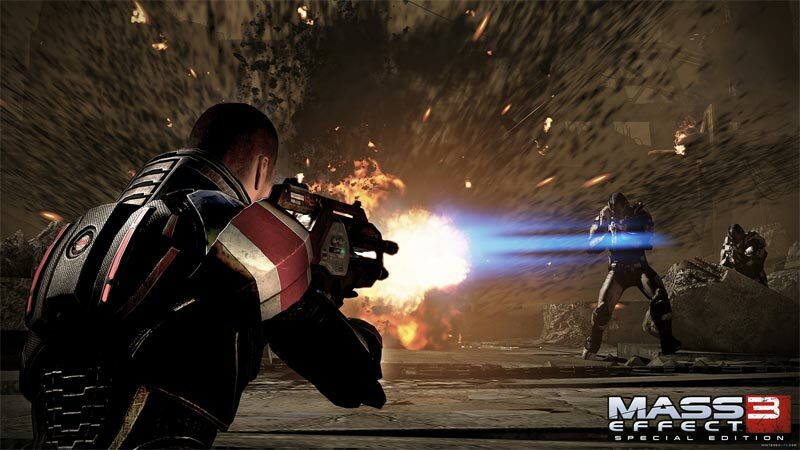 Mass Effect™ 3 plunges you into an all-out galactic war to take Earth back from a nearly unstoppable foe – and how you fight that war is entirely up to you. Groundbreaking interactive storytelling drives the heart-pounding action in which each decision you make could have dire and deadly consequences. 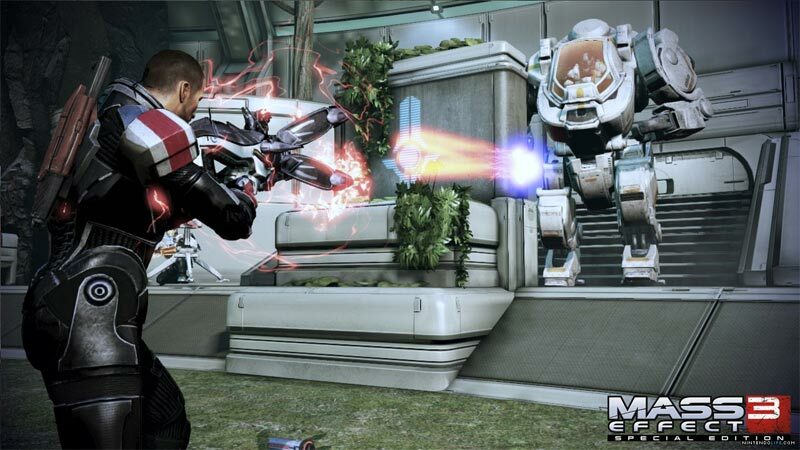 You are Commander Shepard, the only one who can save Earth from annihilation. 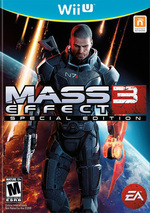 BioWare makes its debut on the Nintendo console with the gripping blockbuster game of the year: Mass Effect 3 - coming to the Wii U™ console with brand new features and content that fully take advantage of the Wii U hardware. 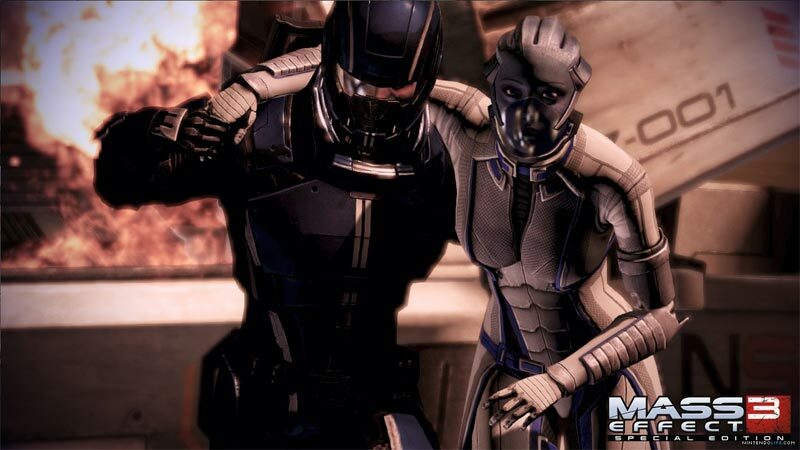 Yet even without that additional content, you couldn't rightfully accuse Mass Effect 3 of feeling incomplete--not with so many missions to undertake, so many individuals to engage in conversation, so many choices to make. If you haven't yet had the opportunity to spend time with some of the Milky Way's most intriguing personalities, now is your chance. Just be prepared: bonds can be broken and ties can be severed. When your goal is no less than ensuring the survival of an entire galaxy, sacrifice is inevitable, and Mass Effect 3 makes sure you feel each and every one. Technically, Mass Effect 3 for the Wii U is about the same as it was on other consoles, save for some occasionally blurry textures and audio problems. They're minor, and the visual differences are only noticeable if you've played the game on another platform first, but they're still there. Some minor additions, however, make up for the issues, and create a more flexible experience when it comes to combat. Ordering around squadmates, both to change position and use abilities, is easier to control with the touchscreen. While it’s an excellent game, it’s hard to recommend Mass Effect 3 for the Wii U unless you missed out on the series before and only have the Wii U to play it on. Even with this ‘special edition’ including the From Ashes and Extended Cut DLC to extend the campaign, knowing that not all of it will be coming to this version hurts its overall value. Starting with the third game in a series may not seem to make sense, and it could be jarring to some players, but that shouldn’t be enough to stop anyone from experiencing this game. It truly is a work of art made with the eye of a filmmaker, and a testament to what video games are capable of in regards to both gameplay and storytelling. Despite the rare occurrence of frame rate drops, and the stunted online play, Mass Effect 3: Special Edition is a love letter to video game and science fiction enthusiasts everywhere, as it does all it can to please the fans and engage newcomers to its immense and beautiful universe. 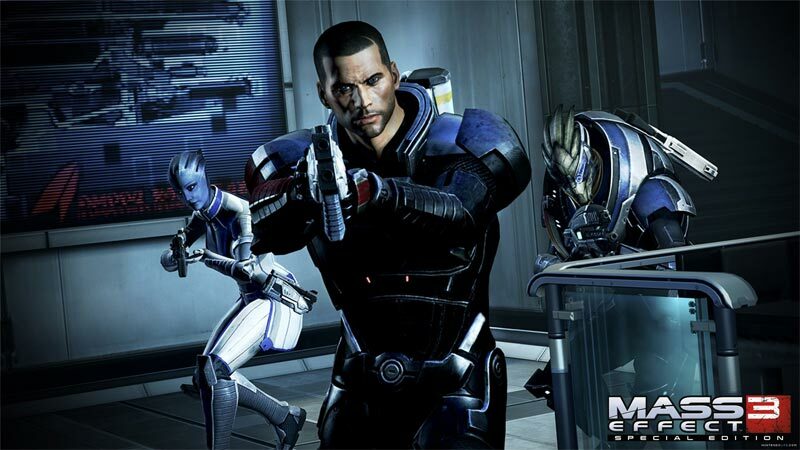 Bioware ha realizado una magnífica conversión para Wii U de su tercera entrega de la clásica saga de rol Mass Effect, una de las franquicias más importantes que nos ha dejado la presente generación de máquinas. Evidentemente y al tratarse de un "port" al uso, cualquiera que ya lo haya jugado no tiene ninguna razón de repetir con esta edición. Pero si no es el caso, se trata de una de las mejores razones para disfrutar de Wii U a pesar de no tratarse de un título exclusivo para esta nueva consola. Vielleicht hätte man für eine spielerische Bereicherung durch das Wii U GamePad auch einfach mehr Rätsel, mehr Taktik und freie Erkundung gebraucht. Also mehr verzweigtes Rollenspiel, weniger geradlinige Action. Man darf nicht vergessen, dass noch genug Qualität in dieser Space Shootera steckt: Die Charaktere sind interessant, die Story ist mitunter tragisch. Aber genauso tragisch ist auch, wie weit sich BioWare mittlerweile von seinen Wurzeln entfernt hat. O grande problema desta versão é o facto de se começar uma trilogia pelo último capítulo. O universo Mass Effect funciona na sua plenitude com a interligação entre três partes. A ausência das duas primeiras partes é um forte revés. 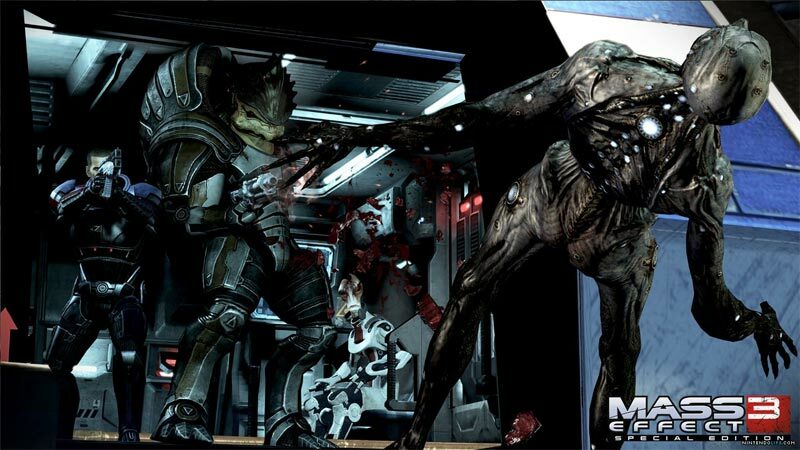 Contudo, é importante realçar que Mass Effect 3: Special Edition é por si só um jogo absolutamente incrível, oferecendo alguns dos melhores momentos que a indústria dos videojogos foi capaz de criar nos últimos anos.